INTRODUCING WIZARD WEB DESIGN. BRINGING BEAUTY TO YOUR WEB SITE. NATURE'S BEAUTY IS ALL AROUND US. HOSTING SOLUTIONS, DOMAINS, CONTENT MANAGEMENT, SEO + EYE-CATCHING DESIGNS. ALL IN THE ONE PLACE. 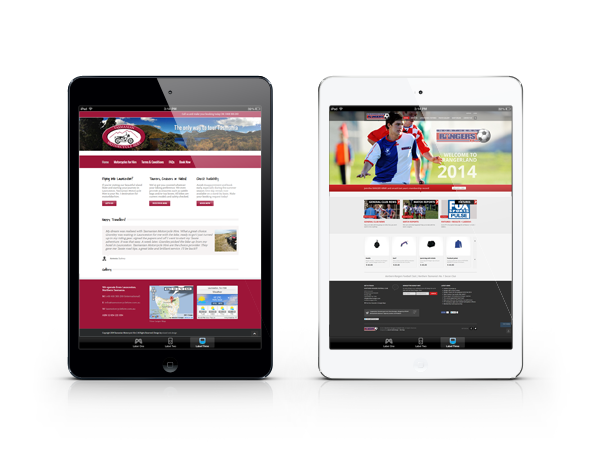 RESPONSIVE + FLEXIBLE DESIGNS FOR BUSINESS, PORTFOLIO, COMMUNITY + eCOMMERCE SITES. CLEAR + SIMPLE. CALL US TODAY. Why invest thousands to arrange the front window of your shop that faces a single street, and at the same time try to save money on the front window that faces the entire world? WHAT IS SEO? WHAT IS SEO? Having been in the web site design business since 1999, we have seen quite a few changes in user-friendliness, functionality + dynamics of a web site. Thus, we have seen a lot of design trends come + go. To stay ahead of your competition you cannot be complacent in thinking that your site does not need to keep up with these innovations. Social media marketing + search engine optimisation are the catch-cries of a successful business enterprise. 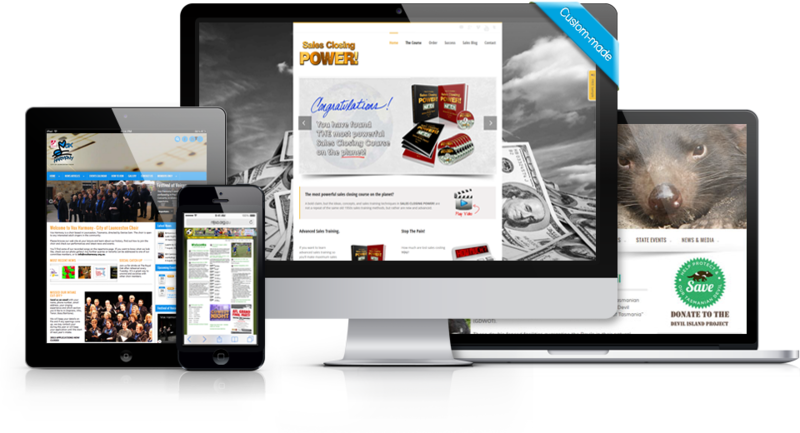 The power of the internet has never been more apparent than in today’s environment + in order to grow your business, you MUST use these tools to your utmost advantage. 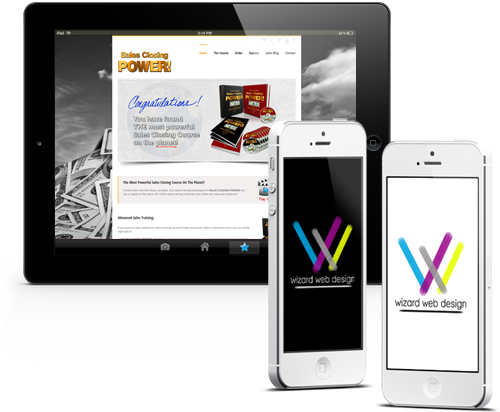 wizard web design can help you do that + we do it within your budget, on time, to your particular specifications. We sit down with you and talk about your business or enterprise. Although we can give you a rough estimate, we do not just give quotes over the phone or by email. Yes, we have web design packages which give you an indication of cost but for us to advise you accurately on a project, we need to get to know you a little. It is absolutely vital that we understand you, your business + how you want your business to grow. Consequently, we do not talk tech. Our mission is to offer our clients a straight-forward approach which you can understand, without confusing jargon. Call us, email us, facebook us – after that… it’s personal. Take a look at some of our latest projects. Each design has been carefully crafted to reflect our customers’ brief + vision. We do it all: Web design, graphic design, branding, photography, video, audio, social media marketing + SEO. Let us advise you + guide you through the wonderfully complex world of search engine optimisation + other web jargon. Get a quote or book an appointment. Completely obligation free, so if you decide not to proceed, that’s OK. WEB SITES WITH A DIFFERENCE. DARE TO STAND OUT FROM THE CROWD. While you are thinking about that much needed overhaul of your current site, we can help you with complete re-branding of your corporate image. Logo design, business cards, letterheads, email signatures + even professional photography + video production. All in the one place. Couldn’t be easier. Louise designed our local building company web site a number of years ago and we have worked closely with her ever since. She provides a fast efficient service which always surpasses our expectations. Would highly recommend Wizard Web Design to anyone looking to have a website designed or looking to switch hosts. Much more than a Wizard! Working with Louise at Wizard Web Design for over 10 years has been a most enjoyable, rewarding and satisfying experience. Louise excels in professional personalised customer service. Spends time to listen to your thoughts and needs, and converts them into a creative functional website. She is a creative detailed designer. Is prompt in replying to enquiries and attending to problems the internet throws at you from time to time. Is technically savvy to the point that we feel confident and secure having our website, not only designed, but updated and maintained by her. If you are looking to have a website designed and maintained to a given budget, look no further than Wizard Web Design for excellence in website creativity, functionality and support. Without reservation, we are happy and confident to highly recommend Wizard Web Design for your unique website. ‘Thanks Louise’. I had hoped that we could keep Spatio’s business associations local and accordingly, we are so glad that we found you. Our web site is exactly what we wanted… and your support, attention to detail, and timely responses were sincerely appreciated. I look forward to working with you in the future and will commend you to anyone who requires a meaningful and functional site.